The changing of the seasons always brings some new beauty to our surroundings, and that is no more true than in the fall. With the pretty leaves changing colors and the temperature dropping, we all get some inspiration to create art and to decorate our homes. Not only is that true for us moms, but it is true for our kids too! They love to make art that resembles what is happening around them and their home, and it’s always fun for them to decorate their rooms with all their colorful creations. This collection of fun fall crafts for kids will give them endless inspiration as they spend time this autumn with their crayons, glue, and paint. 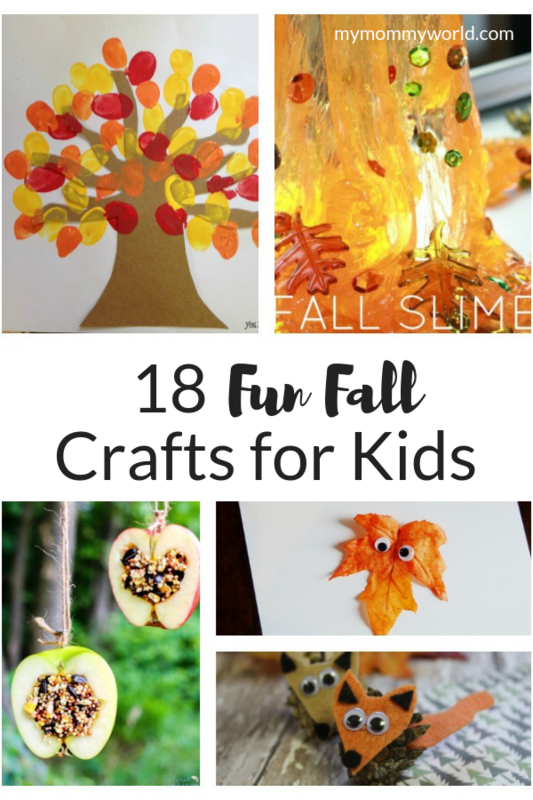 I hope you’ll encourage your kids to make some of these crafts this fall! Here is a super cute and easy DIY Pom Pom Tree Fall Craft from Reuse Grow Enjoy. Use nature to create this Fall Leaf Craft from Kid’s Activities Blog. Here’s another fun Fall Tree Craft from Natural Beach Living, using puzzle pieces! Next, you can make these Coffee Filter Pumpkins from Look! We’re Learning. Even your little ones will enjoy making this Fall Thumbprint Leaves Craft from You Brew My Tea. These DIY Fox Leaves from Penny Pinchin’ Mom are so cute and easy to make! Slime is always fun, and here’s a Fall Slime from Little Bins for Little Hands. Here’s another fun Fall Tree Craft from Natural Beach Living using a paper bag. Next up are these adorable Pinecone Critters from You Brew My Tea. Here is a fun and decorative Fall Leaf Garland your little ones will be proud of from Look! We’re Learning. Here is a fun Activity for Exploring Fall Colors from Little Bins for Little Hands. Here’s a quick and easy 3 Ingredient Fall Puffy Paint Activity from Domestic Mommyhood. Look! We’re Learning has a really cute Fall Snowglobe Craft your kids will love. This easy Apple Paper Craft from Tots Family is so cute! These Fall Science Activities from Little Bins for Little Hands are sure to be a hit! For a really cool activity, make these Apple Bird Feeders from Natural Beach Living. Learn about nature and textures with this Fall Leaf Rubbing Activity from Penny Pinchin’ Mom. Finally, have fun making these Salt Crystal Fall Leaves from Little Bins for Little Hands. Like these crafts? Try this! Got a little one that loves dinosaurs? 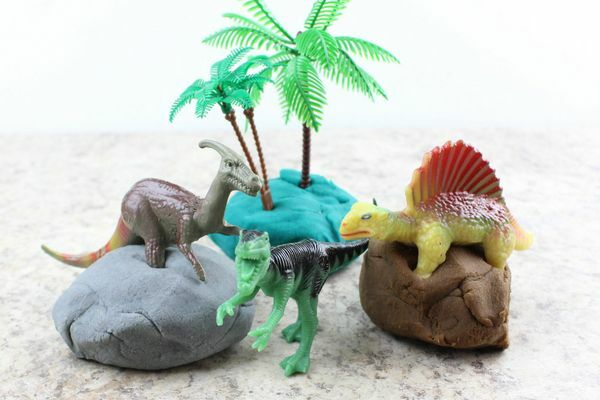 You’ll want to make this Easy DIY Dinosaur Playdough with them!